This all new microphone takes the SE1a to the next level, with 3 interchangeable capsules which offer Omni, Cardioid and Hypercardioid. 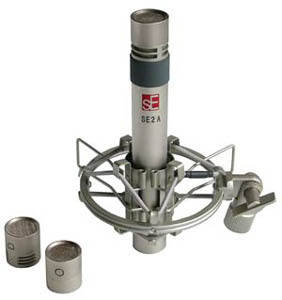 Packaged with a very smart shockmount the SE2a is perfect for any recording application. This small diaphragm pencil condenser microphone will blow you away with its ultra detailed sound and amazing value for money.